Since 1958, Sommers Glass & Mirror has been your local expert provider of glass and mirrors, offering quality installation, repair and replacement services to residential, commercial and industrial customers in Casa Grande, Arizona, and the surrounding areas. We carry materials for interiors, exteriors and autos. Sommers Glass & Mirror is here to provide you with unparalleled installation, repair and replacement services for your glass and mirrors. 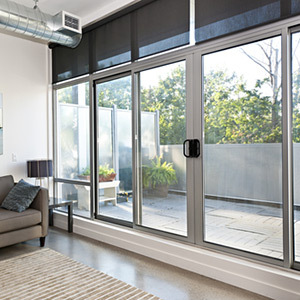 We offer glass and mirror services for autos as well as buildings, including home and business windows and interiors. Our vast inventory is filled with thousands of square feet of top-quality glass and mirrors of varying styles so we can find you exactly what you’re looking for, and we carry over 300 windshields, both domestic and foreign, to promptly meet your auto glass replacement needs. Our customers are residential, commercial and industrial, and we are happy to provide on-site services when needed. We support all major auto insurance policies and offer insurance discounts. We can offer services on-site, as well as in-shop. We’ve been providing glass and mirror services for more than 50 years. We proudly serve Casa Grande, AZ, and the surrounding areas. "I recently broke a plastic insert panel covering the fluorescent lights in my kitchen. I tried cutting plastic pieces from a hardware store..."
"Fast and friendly service I was in and out with a brand new windshield on my vehicle I would recommend this place to anybody in need of a ne..."
"I was referred to Sommer's glass by NAPA of Maricopa. Although being 30 miles from my home, Sommer's glass was worth the drive, saving me $2..."
"I needed my windshield replaced the first time they did an excellent job then the windshield started bubbling I called them right away they ..."